Sitting in our offices in the beautiful New Jersey horse country in early January, my mind does occasionally wander to the soft white sands of Turks & Caicos. I think of our good friend Val grilling lobsters, playing his steel drums and enjoying the warm breezes on Grace Bay. I hope to soon be headed to Turks & Caicos and in the meantime am pleased to connect you with “The Man” himself. Val is a man of many talents and while I'm sure he plays a mean steel drum, his true talents lie in planning trips to the Turks & Caicos. Together with his wife Susan, Val owns and manages Luxury Experiences Turks & Caicos, a DMC that exclusively focuses on travel professionals. Continue reading below to learn more about why you should be working with Luxury Experiences, followed by insights and articles from Val himself. Please send any questions you may have to Val at val@luxuryexperiencesturksandcaicos.com and myself (see info below). #1. LET&C works exclusively with travel advisors, meaning their one & only focus is collaborating with you to engineer a customized and meticulously planned itinerary for your clients. #2. The team is on the ground in Turks & Caicos, so they are in-the-know on all the local happenings and best experiences. They also have personal relationships with the right people, which comes in handy when your clients ask for a reservation at an otherwise sold out restaurant. #3. They take care of the entire itinerary from soup to nuts. Resort & villa bookings, VIP expedited airport service, transfers, tours, leisure activities, puppy visits, restaurant reservations - you name it, they're on it. As they like to say, "we know the best, we book the best". #4. Advisors receive 15% commission on all accommodation plus commission on select services booked in advance or by clients 'on-island'. After booking, advisors are also marked as an ‘Agency of Record’ on any future client inquiries. #5. Their customer service is second to none. For example, when an advisor is unsure about a villa, Val has been known to go to the property and video chat with the advisor to give them a virtual tour and a better sense of what their clients would be experiencing. "Wellness travel is at an all-time high and at the start of the new year with travelers focusing on their resolutions, it is a well sought after travel experience. 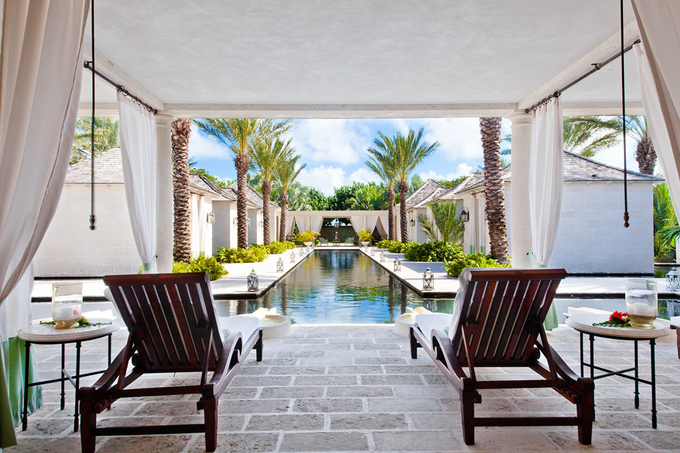 Turks & Caicos provides the perfect combination of wellness offerings to pull it all together. In fact, much-needed relaxation and downtime here gives clients the chance to establish healthy habits to take back home. The stunning turquoise waters and powder white sandy beaches brings immediate, calming benefits, but many resorts and luxury villa properties offer wellness amenities to further nurture the body, mind, soul and spirit." 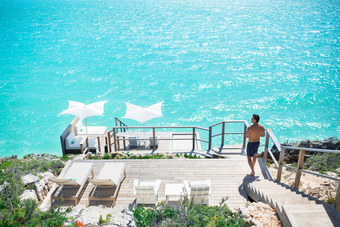 Click here to keep reading and to learn more about the wonderful spas, nutritional dining, yoga, pilates, beaches, and professionals that help enhance the wellness scene in Turks & Caicos. For families and even couples looking for ultimate luxury, we suggest the Gansevoort Villas. With VIP packages and up to 30% off on select dates, these villas are gorgeous, new, and only 5 minutes from the main resort on Grace Bay beach. Sentosa Villa is a beautiful home on 1.5 acres of land adjacent Grace Bay beach. With 8 bedrooms in a single story, contemporary design, the layout provides most rooms with a stunning view of the ocean’s turquoise waters. 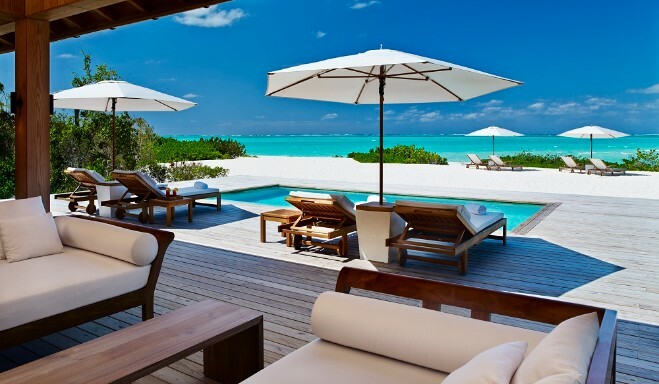 "COMO Parrot Cay is a sublime retreat located on a two mile-long beach within its own isolated cay. Surrounded by 1,000 unspoiled acres of wetlands, the resort provides a truly secluded atmosphere that makes relaxation inevitable - even when accompanied by kids. Families are top of mind at COMO Parrot Cay, made evident by their varied selection of different sized rooms, suites and beach villas. The garden view and ocean facing rooms, for example, can fit families of 3, while the COMO suites fit families of 4; certain villas and estates include up to 5 bedrooms. Should parents want a day at the spa or a romantic dinner alone, there are plenty of ways to keep kids entertained. A great place to meet and bond with the many other children at the resort is the kid-friendly library that boasts board games, video games, books, pool tables, and a large screen TV which shows nightly movies. Of course there are also kid-friendly water activities, excursions and staff-led programs that children can participate in daily. The dining at COMO Parrot Cay focuses on health and nutrition with juices, smoothies and kid-friendly treats. There are children’s menus available throughout the day as well." 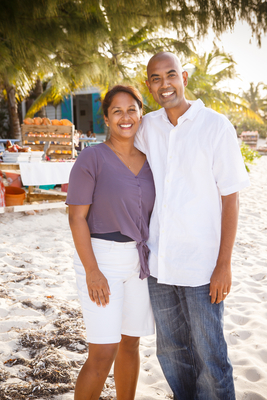 Click here to read more on why Val thinks COMO Parrot Cay is ideal for families.